The Old Tanyacsárda is situated 71 km far from Budapest. It is welcoming their guests more than four decades near the small-town, Lajosmizse on the Great Hungarian Plain. The restaurant had started as a wood-house buffet but for now it became one of the most successful restaurants of our country; its fame was taken wind by many domestic guests coming from all over the country and also by many foreign guests. The excellent, Hungarian style kitchen of the Tanyacsárda has deserved rightly the title of “The best restaurant of the Region” (1999, 2002, 2004, 2006, 2008, 2011) and in addition to this the company has won several international awards on gastronomic competitions and exhibitions (Protectorate table (Védnöki tábla), Golden bull (Aranybika), Chevalier - Maison de Qulite, Chaine des Rotisseurs, the member of the Top 10). 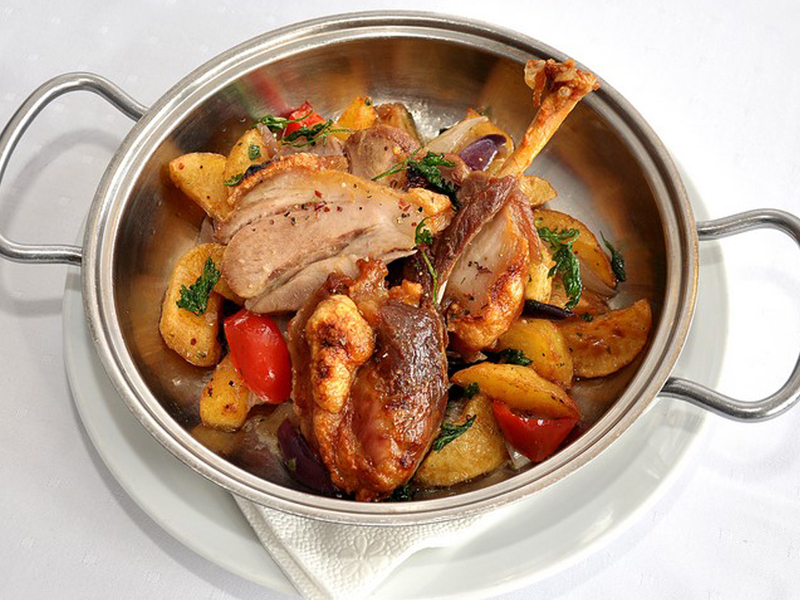 In 2005 the catering line of business has chosen Tanyacsárda Restaurant among the best restaurants of Hungary and has awarded with the maximum three stars. In 2007, 2011 and in 2015 Tanyacsárda has received the Hungarian Tourism Quality Award from the National Tourism Committee and The Rosemary Award from the Hungarian National Tourist Office (Magyar Turizmus Zrt.) and it has won “the host of the year”, which was founded by the Chamber of Commerce and Industry of Bács-Kiskun County. In addition to the specialties of the master chefs – already becoming traditional- here the guests are looked forward to series of gastronomical events. These programmes are attached to holidays and celebrated days. 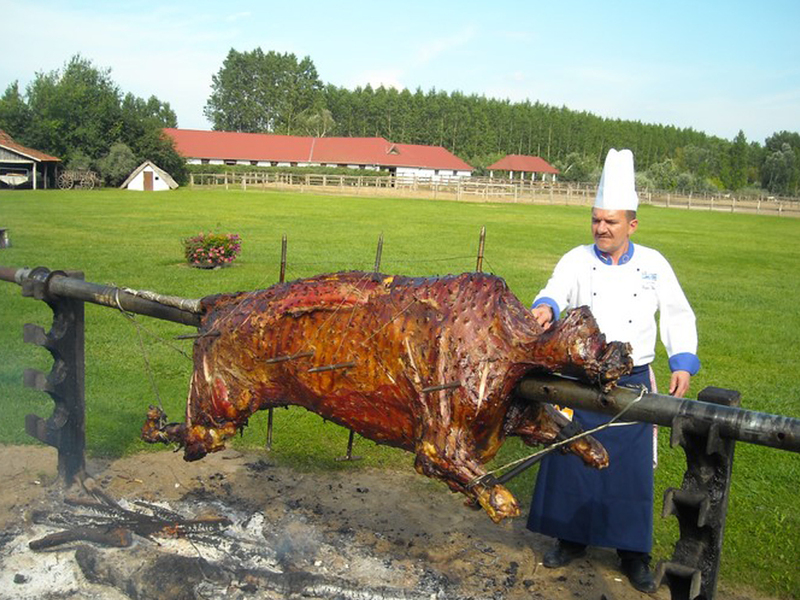 The guests are invited to gastronomical deliciousness, which are completed with programmes (horse-show, ox-grilling, Puszta Olympic Games): there will be organised the “Sobri” Fish Days, the grape harvest, the pig-killing on Andrew’s day and some other programmes, where the lover of culinary deliciousness will certainly find their hope. The restaurant is welcoming guests every day from 11.00 am till 10.00 pm (in winter till 09.00 pm), where evenings the gipsy band takes care of the pleasant feeling.